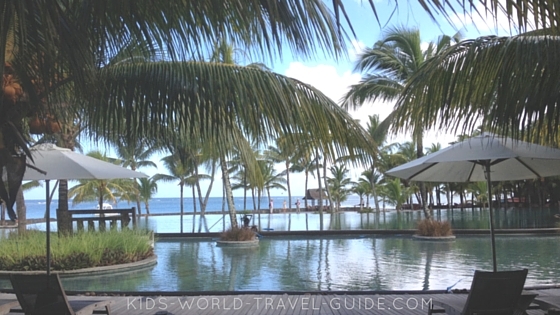 Trou Aux Biches Review: Looking for a great Mauritius resort for your next family holiday? We stayed at this fantastic family resort in April 2015 and in July 2017 and here share our holiday experiences about our stay at the amazing Trou aux Biches Resort with you. 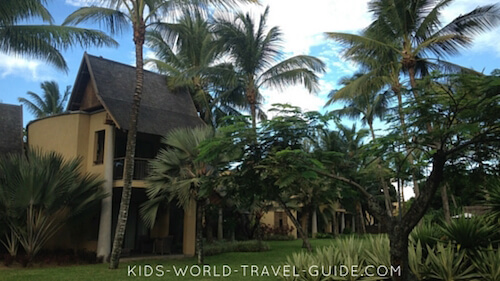 Each time we spent a bit more than a week with our kids at the five-star Trou Aux Biches resort, which is also called TAB by the locals. 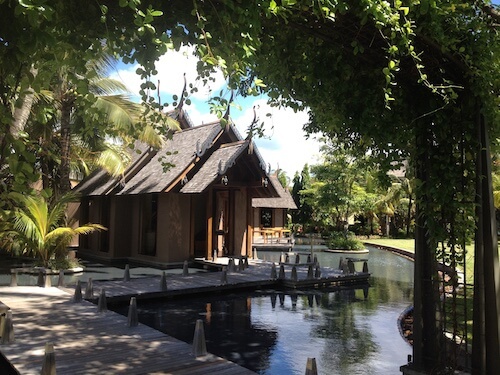 You will find our Trou Aux Biches review below. 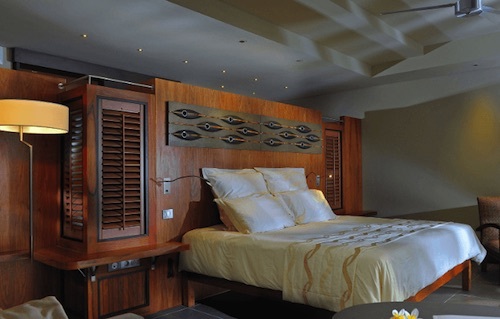 We trust you enjoy the hospitality at this wonderful Mauritius hotel as much as we did. The '5-Star-Superior' hotel Trou Aux Biches is located in the northwest of Mauritius island and sits on the most wonderful white and sandy beach - probably the best beach one can experience on the western side of the island. The Trou Aux Biches resort, belonging to the Beachcomber hotel chain, is one of the biggest and oldest resorts on Mauritius. This said, it is still quiet, very spacious and modern as it was constantly updated and renovated over the years and has received a major revamp in 2011. The resort can accommodate more than 700 hotel guests at one time, however, we never felt like staying at a big or even crowded resort. Trou aux Biches Review: The two-storey townhouse buildings are spaced out on the beautifully well-maintained grounds. A handful of houses/chalets always share a common pool area - these smaller pools were a welcome addition to the huge main pool in the centre of the resort which you can see below. Located in north-western Mauritius, close to Grand Baie, this popular resort is located along the tranquil and protected western coastline. The north-western parts of the Indian Ocean island are renowned for its milder climate and so the area is generally less windy and less cloudy than other parts of Mauritius. This year's holiday in August, during their winter, we experienced lovely mild weather, and although it rained - for some hours - every day, we (and our teenage kids) were kept happy. Trou aux Biches Review: There is a kids club and various activities are offer for children and teens. The Trou Aux Biches has a kids club for children aged 3 - 12 years, which seemed to be quite popular with many families, especially those with younger children. There is also a club for older children or teenagers, however, there were not many families with teenagers staying during the Easter or European Summer holidays and there were hardly any organised group events or activities for this age group. Our kids joined-in the occasional late afternoon beach volleyball games and some days they played ping-pong/table tennis with other youngsters at the youth centre. We enjoyed a blissful holiday as our kids were kept busy and happy all day too. A wide range of water sports facilities, such as canoes, pedal boats, catamarans, stand-up paddle boards or windsurf boards, were all offered for free. We thoroughly enjoyed using the water sport facilities and going for longish sailing or paddle trips along the coast several times of the day, and there were seldom periods when the boards or boats were all booked out. Our kids were most of the day in or on the water. The staff of the watersports centre even offer free waterskiing with lessons at the hotel's own pier! As everywhere in Mauritius, there were also various beach sellers walking on the beach, approaching guests for showing souvenir items such as stone/pearl jewellery or handmade bags or selling boat and dive trips and offering tube rides. However, we never felt they insisted on selling or were intrusive. Usually we had lovely chats with the sellers and shared stories and had lots of great laughs with them. It was actually quite funny as we recognised most of them from our first trip and seemed to reconnect immediately with some of them feeling just like meeting 'old friends'. Please know, that beach sellers are allowed on all beaches in Mauritius as all beaches up to the high tide mark are public. Security guards and hotel staff, however, patrol and watch the entrances to the hotel grounds so no 'unauthorised' people were allowed on the property. At the hotel, it's easy to keep the kids entertained as additional to the water sports facilities described above, there are daily several glass bottom boat trips and snorkelling boat trips to the reef - as complimentary service by the hotel. Our teens loved the freedom to roam the far spread grounds of the well guarded resort. During our first holiday to TAB, we had rented a small car through the hotel's concierge, to explore the island a bit more. This time, we had a rental car throughout our stay as we wanted to be more flexible. We used the car for the occasional short trip to the shops in Grand Baie and for several excursions when the overcast and rainy weather would not allow for remaining on the beach. We ventured south into the Black River Gorges National Park (truly fabulous, although it was pouring!) and had a lovely day exploring the country's capital Port Louis. We discovered the many quirky boutique shops at the new shopping mall precinct at La Croisette, visited the historic Chateau de Labourdonnais and enjoyed a delicious lunch at the homestead's park and the botanical gardens at Pamplemousses. 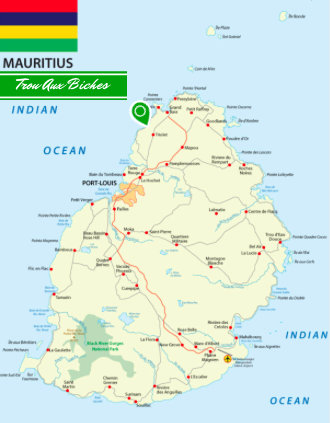 By the way, driving (on the left side of the road) in Mauritius is pretty easy, although the roads are quite narrow and often full of potholes. There are also many trucks, buses and motorcycles. Everywhere drivers hoot when approaching a crossing so it's relatively easy to 'watch out' for others. Trou aux Biches Review: The hotel offers accommodation in junior suites, tropical junior suites, beach front or senior suites with pool, family suites (with a second bedroom for children) and villas with two or three bedrooms. Both times we stayed at tropical junior suites which are stunning! Spacious, modern, however, quite dark, but given that in Mauritius it can be very hot and humid, this was good, so we thoroughly enjoyed sitting on the shady terrace during the midday heat. Each of the tropical junior suites had a spacious bedroom where next to the bed there was a small sitting area with table and two chairs as well as a desk and flatscreen TV, a patio/terrace with one sun lounger and a table with two chairs, a huge bathroom with massive bathtub, huge rain shower, two wash basins, a separate toilet cubicle, a dressing area with open shelves, a minibar - and an outdoor shower! It is so wonderful to take an outdoor shower surrounded by small palms and ferns, listening to the birds singing in the lush green tropical gardens. In April, the outside temperature was 25°C/77°F and above even in the morning, so using the outdoors shower was such a relaxing experience! In July, the temperatures were cooler, and there were more mosquitos which really like me..., so I had to restrict outdoor shower time. There are six restaurants catering for the guests at the Trou aux Biches. They also offer several accommodation and meal plans on specials, so we were treated to free lunch buffet with a large variety of salads, small snacks and dishes such as pizza, pasta, meatballs and oh so yummy desserts! The buffet was always freshly prepared, mouthwateringly arranged and displayed and very delicious, and also catering for a huge range of tastes and preferences, including vegetarian options. We enjoyed eating our breakfasts at either the buffet restaurant 'L'Oasis' or at the smaller 'Caravelle' bar and restaurant. We ate dinners in five of the six restaurants on the premises, and only missed out on the seafood specialty restaurant at the poolside. 'L'Oasis', the buffet restaurant offers themed buffets in the evening - seafood, mediterranean, Mauritian specialties and has a very scenic setting. 'Blue Ginger', the Thai restaurant with authentic Thai food: This was our favourite restaurant! We have lived and travelled widely in Asia, but their dishes - and the service - were truly out of this world. 'Le Deck', the 'a-la-carte' restaurant, where the chef even cooked and served a special 'anniversary dinner' for us! What an amazing experience! The staff at the luxury Trou aux Biches resort treat their guests like royals and there was not one moment when we did not receive outstanding service. Fatima and her team are simply amazing! 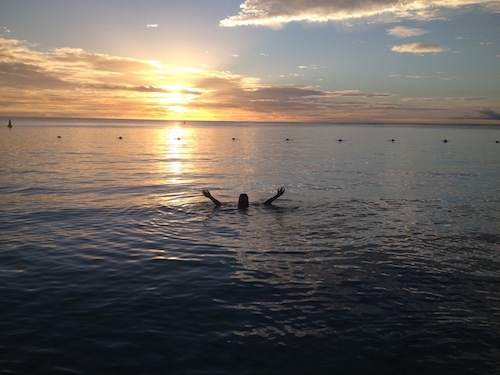 Conclusion of our Trou Aux Biches review: This was the best holiday resort we have ever been to, and trust us, we have seen quite a few amazing places all over the world. 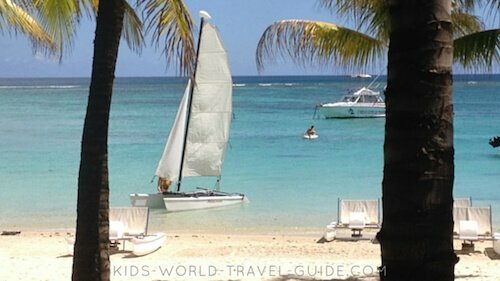 If you ever want to visit Mauritius with kids, this is a fantastic resort for the whole family. We highly recommend it! This Trou Aux Biches review was written by us stating our personal experiences and ratings. 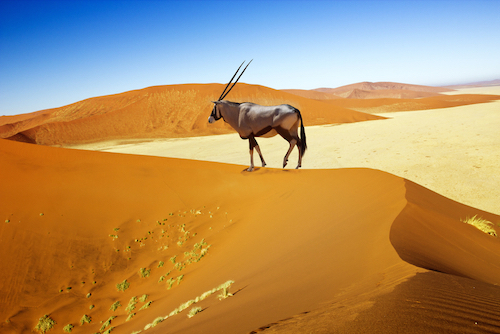 The post was not sponsored by any tourism organisation, travel agency or the hotel. Image Credits on Trou Aux Biches review: Pictures from the Trou Aux Biches website where mentioned, otherwise own images.